We often think about what we should be consuming before an intense workout, to make sure we have enough fitness fuel to push through the barriers of the treadmill. The timings of when and what you should take can become a make or break scenario for you to reach your fitness goals and can ultimately determine whether you have a great workout or not. So, why do we forget about what we should be consuming post workout? After all, surely after a hard workout, your body deserves some TLC? In this article we explore all the hidden crevices of post-workout shenanigans, analysing the most scientifically backed post workout supplements and the ones you should absolutely consider taking to maximise your results. So sit back, relax, grab a brew (or protein shake if you’ve just been in the gym) and discover which supplements could work for you. What Supplements Should I Take Post-workout & Why? Some call this the holy grail of protein shakes. The ultimate bodybuilding go to drink, and for good reason too. After we take part in any form of physical exercise, whether it be the gym, sport or even a physical job, it can cause our muscles to tear and breakdown. These micro tears in our muscles, once repaired is ultimately how we build and grow muscles. We’ve skipped a little science in there but for us to maximise our recovery rate and reduce the chance of having the above scenario whey protein is incredibly important to help repair and rebuild. We highly recommend taking Whey Protein 360, 360 Extreme or our award-winning Whey Protein 80 depending on which you prefer. I know we left out some of the technical aspects there, but now it’s time to get down to the business side of things, how does it actually help us post workout? Well, protein is not just amazing for helping our muscles develop and repair, but it’s also the foundations of many other functions in our body. Protein helps with enzyme and hormone production, as well as helping to maintain bones, cartilage, skin and our blood. However, unlike other types of macronutrients that we consume, for example, carbohydrates and fat, our body does not store protein and therefore has no reserve for when it is needed, so we need to have a good supply when our body needs it most, i.e post-workout. Whey protein itself is derived from the liquid part of milk, which is separated to form 2 different proteins: Whey Protein and Casein Protein. 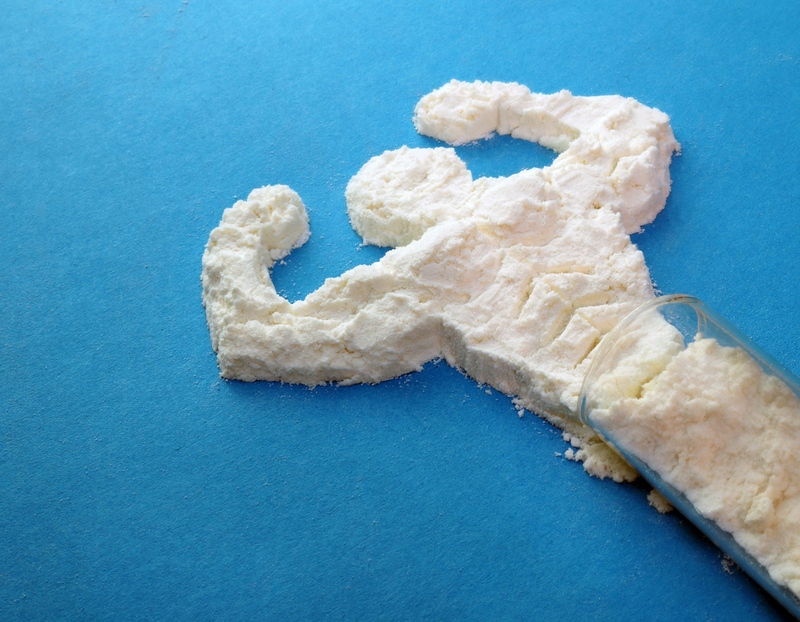 We talk about Casein protein here, if you wish to give it a read. The protein contains small molecules called amino acids. These bad boys are the foundations of our muscles and the little troopers helping us make those all-important gains. There are two types of amino acids. Essential – your body does not produce them and must be consumed from food. Non-essential – your body produces them on its own. Whey protein supplies our body will all 9 essential amino acids in one delicious shake. Not only does whey protein provide a high amino acid formulation but also increases the release of anabolic hormones such as insulin that can stimulate muscle growth, leucine which is known to stimulate protein synthesis, and is also very easily digested, and quickly absorbed compared to other proteins. So if you want a tasty shake that helps to decrease recovery rate, and improves muscles growth then this one’s for you. For those wanting specifics, it was first recommended that an athlete does not need to consume more protein than the RDA. However, with the advancements of technology and science research has now found that anyone who engages with intense training may benefit from about two times the RDA of protein in their diet (1.4 – 1.8g protein per KG of muscle mass) (Philips, 2014). Although it really does depend on how much exercise you take part in, as after all the more exercise, the more recovery is needed, makes sense? A study performed by (Bendagan et al. 2017) discovered that athletes who engage with moderate exercise need 1.2–2.0 g/kg/day of protein (60–300 g/day for a 50–150 kg athlete) while athletes involved in high volume, intense training need 1.7–2.2 g/kg/day of protein (85–330 g/ day for a 50–150 kg athlete) for optimal protein synthesis and recovery. That’s why our whey protein shakes have on average 20g of protein per serving, so double dip that scoop to hit your targets. You can forget the no carbs before marbs cliche, carbohydrates are vitally important for post workout. You can stop worrying that you’re going to be piling the pounds on by taking these, as in reality you seriously need them. Yes, if all you were to do is eat carbohydrates with no exercise then, of course, your not on a path to utilising this excellent fuel source. 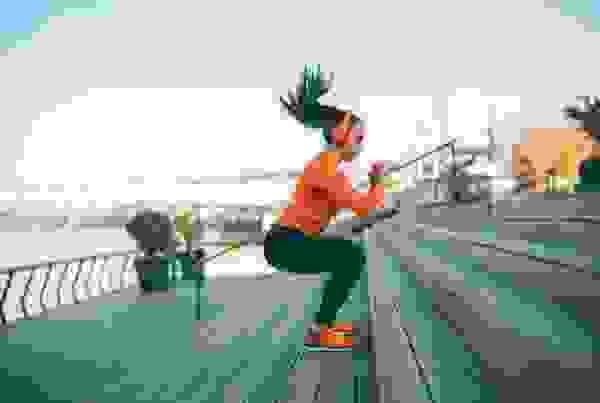 But you’re a gym warrior, fitness fanatic and goal getter, so any excess calories and carbohydrates will be burned off during your intense workouts. Quick releasing carbohydrates can be found in such protein shakes such Total Mass Matrix and Total Mass Matrix Extreme or be taken separately such as Dextrose and Maltodextrin. We all put effort into working out, or there would be no point going. This ‘effort’ or as we like to call it ‘passion’ needs to have some form of fuel to keep you going. Imagine a car without fuel, the only way it’s actually going to make any movement is if it goes downhill, and well ‘going downhill’ is a saying we don’t want to be using when trying to hit some personal records. It’s simple science really. When we exercise our body uses up its glycogen stores for this fuel, so once our muscles become deprived of this glycogen this is when we start to become fatigued and tired. The less glycogen we have the more tired we become, and harder it is for us to recover. The rate in which your glycogen stores are used really does depend on the activity. For example endurance sports (running, rugby etc.) need much more glycogen than resistance training. Consuming quick releasing carbohydrates helps to replenish these glycogen stores, ready for the next day (Burke et al. 2011). So how many carbohydrates do I need to consume? Again it’s very dependant on the amount of exercise you take part in. For example those involved in moderate intense exercise (2–3 h per day of intense exercise performed 5–6 times per week) typically need to consume a diet consisting of 5–8 g/kg/day or 250–1200 g/day for 50–150 kg athletes of carbohydrate to maintain muscle glycogen stores (burke et al. 2006 & Kersick et al. 2013). 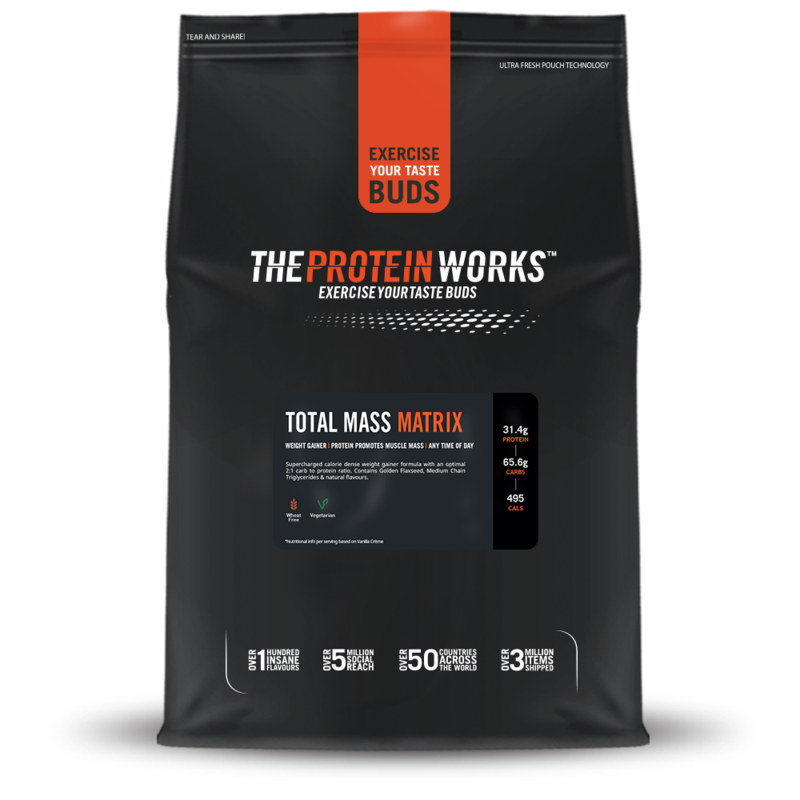 But why does our total mass matrix protein shake contain carbohydrates? Should I not just consume them on their own? Funny you should ask that. Well, studies performed on athletes have found that supplementing carbohydrates and proteins together promotes better glycogen resynthesis and therefore overall helping to reduce our recovery time and setting us up with stores of energy for the next intense session (Jager, R, 2013) Quick releasing carbohydrates also boost our insulin levels, which helps with protein absorption. We’ve nailed down the optimal carbohydrates and protein blend in our mass gainer shakes to make sure you get the very best results, you should check them out here. If you’re new to the gym scene then there’s a slight possibility that you’ve never heard of creatine. Don’t worry we go into detail so you can have an overview if this gem of a post-workout supplement. If you’re an avid gym goer and know your stuff or even a creatine consumer then a little knowledge refreshment of the supplement won’t go amiss too. 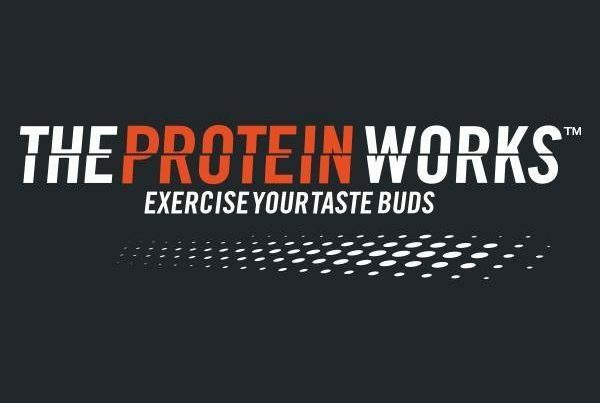 Here at The Protein Works we offer 3 core Creatine products. We have Creatine Monohydrate, Creatine Creapure, and our very own Creatine Extreme. They’re all very similar with each having their own slight variation if you’re interested here’s an article on Creapure. So, creatine monohydrate is one of the most researched sporting supplements on the market today (kerksick et al. 2018) and for good reason too! Scientist and sports nutritionist alike will advocate this supplement for athletes undertaking high-intensity exercise whether that be team sports or more importantly weight lifting. Creatine is stored within a muscle to a limited capacity, it is a molecule that plays a crucial role in the production of energy during very high-intensity muscle contractions over a 1-10s period; think sprinting or lifting a weight all out. When we maximally exert ourselves creatine stores can be the limiting factor in energy production. Creatine is used in the cells of our muscle to help regenerate energy but there is only so much available, that’s where creatine powder comes in. If we can increase creatine stores we can improve our bodies capacity to maximally exert, which overall means that we can increase our strength, produce more reps, which helps to breakdown muscle fibres and overall improves muscle mass and size with many studies proving just that (krieder, 2003). Discoveries of creatine monohydrate have shown improved muscle mass, and recovery rates, meaning that you can hit the gym with full force on the next session. To get scientific – when we exert ourselves, a muscle will convert ATP (adenosine triphosphate) to energy leaving a useless ADP (adenosine diphosphate) molecule that must be rapidly converted back to ATP to sustain the effort. ADP is converted back to ATP via a molecule called phosphocreatine. By donating its phosphate, ATP is formed leaving creatine. Therefore the faster we can reconvert creatine back to phosphocreatine, the faster we can reproduce ATP from ADP for muscle contractions, which means we can take part in high-intensity workouts for longer durations. That might sound a little complex to some, so here’s a little overview of why supplementing creatine post-workout can help you gain to your heart’s content. Unlike some pre-workouts creatine doesn’t give you that all of a sudden energy surge, and as such why many people supplement it after working out. It means that our body can replace, replenish and refresh our stores ready for the next hard session. But how much should you consume post workout for optimal recovery? So as we’ve said creatine is stored in our muscles and as such we must increase our muscle creatine stores. How much creatine do I need to consume post workout? The best way to do this is to consume 0.3 g/kg/day of creatine monohydrate for 5–7 days followed by 3–5 g/day thereafter to maintain elevated stores. Initially, ingesting smaller amounts of creatine monohydrate (e.g., 3–5 g/day) will increase muscle creatine stores over a three to 4 week period (kerksick et al. 2018). Many experts also recommend having it post-workout since it’s at this point that your body is in its most absorbable state. Branched Chain Amino Acids. You can see why we use an abbreviation with this one. If you’ve read about whey protein further up the page then you’ll already know a little about amino acids and how they can help improve recovery rate, protein synthesis and muscle mass, but because BCAA’s are so useful for post-workout we thought they deserved a slice of the post-workout cake all to themselves (low-calorie protein cake of course). You will have seen BCAA’s as an ingredient to many pre and post workout shakes, so what’s the hype and how can they help you? Branched Chain Amino Acids are usually a formulated blend, usually leucine, isoleucine and valine. Although there are many other amino acids available these are the 3 main ones you need to be looking out for when choosing them, we’ll tell you why a little further down. These 3 Musketeers as we like to call them all play an important role together, offering each other specific benefits to you and me post-workout. BCAA’s are a supplement important for preventing muscle breakdown and promoting the building of muscle. For the rest days, or quite often, rest weeks we have, supplementing BCCA’s will help prevent losing any gains you’ve already made, Phew! No need to worry about losing that precious muscle. When exercising, your body can often go into a catabolic state, meaning that you start to use and break down tissue such as fats and muscle to produce energy for muscle contractions. Although this may sound good that your body is using unwanted fat, in fact, it can be the complete opposite and you can begin to lose muscle as your body breaks down proteins instead as an energy source. Unfortunately, you can’t stop protein breakdown, however by increasing the rate of protein synthesis compared to protein breakdown helps to build muscle and reduce that dreaded muscle loss while working out too. Leucine – promotes recovery by stimulating mTOR pathways to increase protein synthesis, helping recovery rates, and improving muscle growth. Isoleucine – Broken down in muscle tissue to help regulate the body’s energy levels helping you to reduce tiredness and fatigue. Valine – Helps to prevent the breakdown of muscle by supplying them with extra glucose. The balance of BCAA’s, proteins, carbohydrates, and creatine is one bad A** combination, and we’ve still got one more supplement to go for the cherry on top for post-workout supplements. They often say ‘save the best until last’ but the fact of the matter is these are all the best, and if used together will help you achieve any fitness goal in mind. Anyway, onto the good stuff that is Taurine. It may sound like a fancy dessert, but it’s actually a naturally occurring amino acid (these amino’s are everywhere). It’s found in high concentrations in the central nervous system, skeletal muscle and white blood cells. You may have actually seen taurine on the label of your favourite energy drinks, as some studies have shown that the combination of caffeine and taurine has a positive impact on our cognitive responses, though it performs best post-workout. As we’ve said taurine is another amino acid, as well as being found naturally in our body, taurine consumptions also come from a variety of food sources such as meat, milk and seafood, and as such why this is such an important supplement for our vegan and vegetarian lifters out there. Taurine is a supplement often not used on its own but found in BCAA blends and protein powder. Taurine helps with the post-workout strains and stresses on our muscles and acts as a cell volumiser. It does this by drawing water and nutrients into the cells to aid recovery and growth. You can see why having this with the above supplements will be beneficial. As we’ve talked about previously when we take part in physical exercise our muscles become depleted whether that be from protein, glycogen or any other important vitamins and minerals. This simply means that during the post-workout stage, the quicker we can replenish these levels the better our body will be able to recover. With the help of Taurine acting like next day delivery on Christmas eve, we can make sure our muscle receive what they need as quickly as possible. So by adding as little as 1-3 grams of this into your post workout shake, you can effectively increase the absorption of all the other nutrients in that shake, pretty cool if you ask us. So there you have it, the best post-workout shakes! Which ones do you take? Phillips SM. A brief review of higher dietary protein diets in weight loss: a focus on athletes. Sports Med. 2014;44(Suppl 2):S149–53. Kerksick CM, Kulovitz MG. Requirements of protein, carbohydrates and fats for athletes. In: Bagchi D, Nair S, Sen CK, editors. Nutrition and enhanced sports performance: recommendations for muscle building. London: Elsevier Publishers; 2013. Kreider RB. Effects of creatine supplementation on performance and training adaptations. Mol Cell Biochem. 2003;244(1–2):89–94.